Along the coast of Brittany, not far from Porspoder, is the Île Melon and its eponymous hamlet. Here exist the remains of a few quarries cut from the sea side of the granite coast. 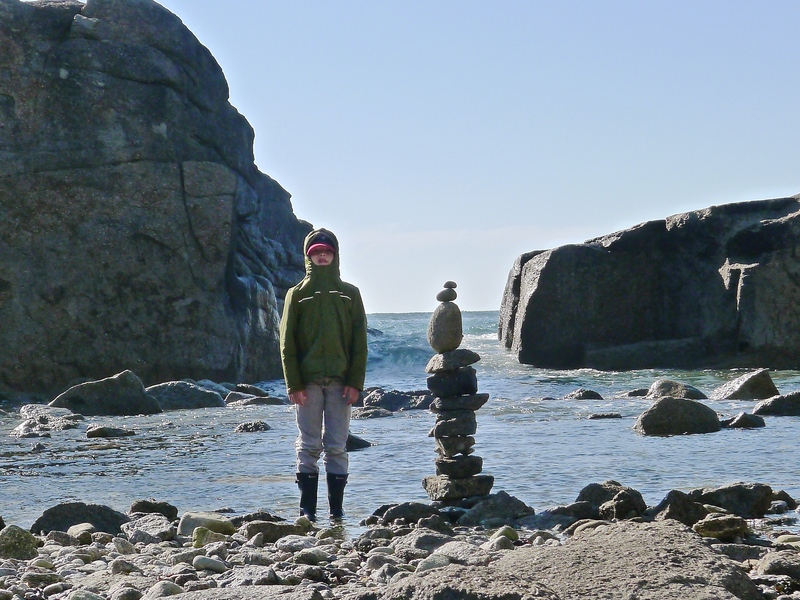 Dependent on the direction of the mouth toward the sea, they make interesting places to watch the tide rise, and a fine place for an installation reminiscent of work by Andy Goldsworthy. I give you > 2014 Brittany | Atlantic cairn on Vimeo.